Stocks started off higher on Wednesday, but have lost most of those gains as major U.S. indices hover near breakeven. With earnings in full swing and no shortage of announcements, we’ve got plenty of must-see stock charts as we head into the last two days of the trading week. Shares of IBM (NYSE:IBM) are roaring higher after beating estimates and providing better-than-expected guidance. The stock is up 8.5% on the day and hitting multi-month highs as a result. The question is, can IBM continue the momentum? When we’re talking about a low-growth name like IBM, it’s hard to get too excited about chasing it up over 8%. Not to mention that IBM is up four weeks in a row before this week’s move. 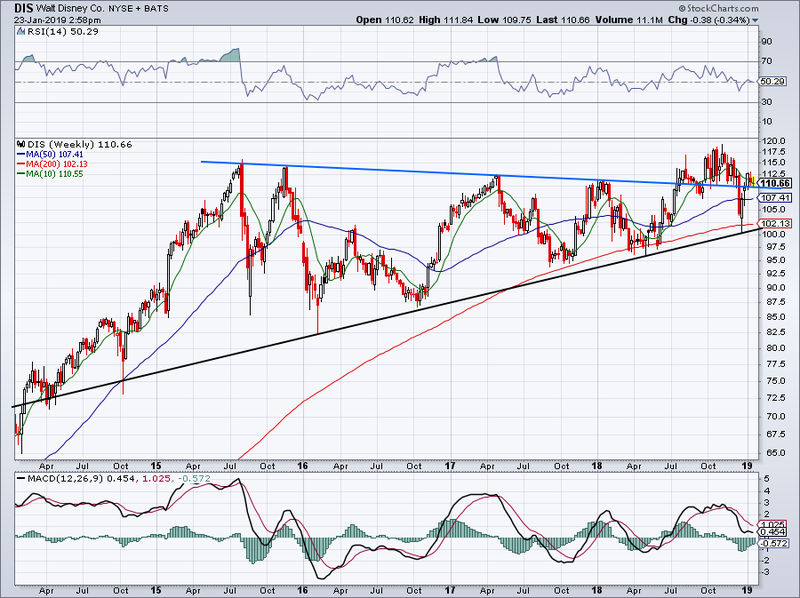 Near $110, IBM had an attractive risk/reward. Up near $133 though and it’s a different story. Right now it’s kind of in no man’s land. If it can power through the 50-week and 200-week moving averages then it could challenge downtrend resistance near $145 to $150. On the downside, I want to see the 10-week moving average near $120 hold as support. If it does, bulls might consider getting long near this level. Abbott Labs (NYSE:ABT) shares are down 2% after the company reported in-line earnings results and missed on revenue expectations. Overall, the trend has been higher but it’s been a choppy ride the last few months. As long as shares stay above its 50-day and 21-day moving averages and/or uptrend support (blue line) then the bulls are likely okay. Below these marks and ABT will likely pay a visit to the 200-day. If it can push over this $71 to $72 level, ABT could challenge its highs just over $74. Shares are up over 7% on the day as Papa John’s Pizza (NYSE:PZZA) is reportedly receiving some takeover interest. While the news is resulting in a nice pop, PZZA stock is similar to IBM in that it’s somewhat in no man’s land here. Technically, it could continue to push up to its 50-day moving average and perhaps beyond, up to its 200-day moving average. Who wants to short a name that’s a possible takeover target? Not me. And maybe that will help fuel some of the squeeze higher. That said, buyers are a little late to the game if they weren’t in today. Look to see if PZZA pulls back and consolidates below its prior range or if it rallies into moving average resistance. On the longer term charts, I would expect some resistance near $47.50 to $50 as well. 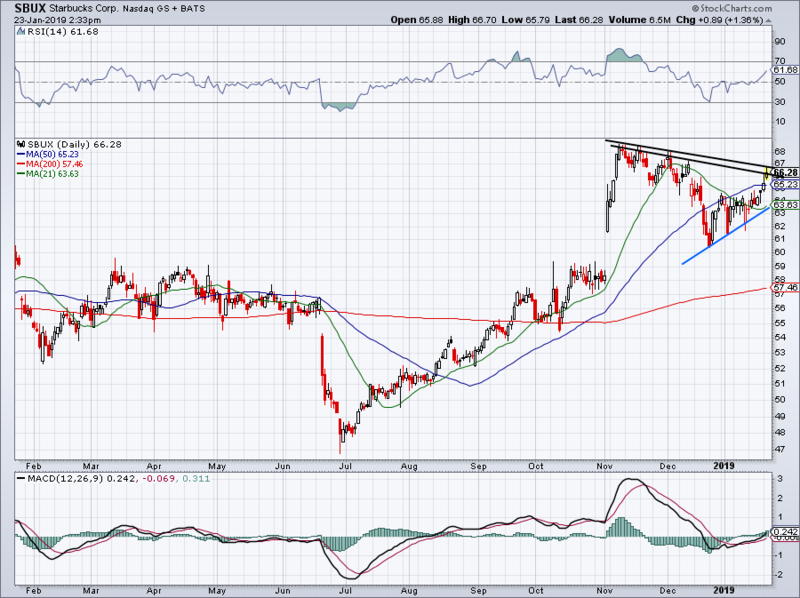 Despite the recent pullback, Starbucks (NASDAQ:SBUX) has been trading well lately. So have these other four. 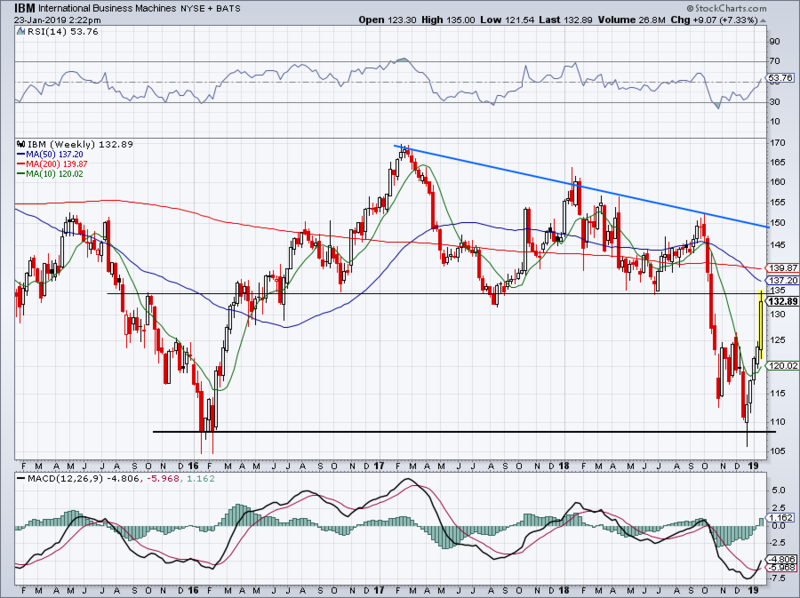 SBUX tried but failed to breakout on Tuesday but is making its move again on Wednesday. It’s encouraging to see Starbucks showing relative strength at a time where the markets have been struggling. 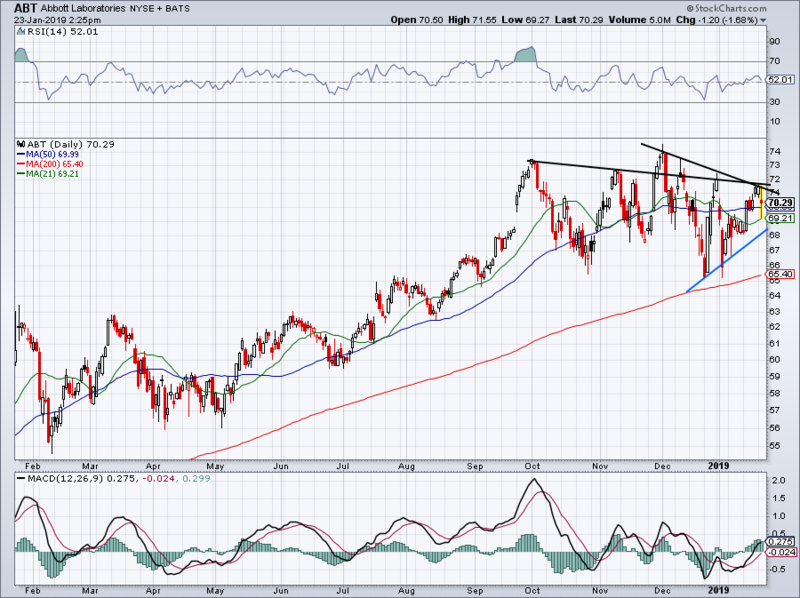 It makes me think that if we get some bullish action in the indices, Starbucks can run. Seeing which stocks are doing well when the market is doing bad is always worth taking note of. It doesn’t mean they are guaranteed to breakout, but it improves the odds. If it does, look for a possible run to $70. Keep in mind SBUX has earnings Thursday evening. 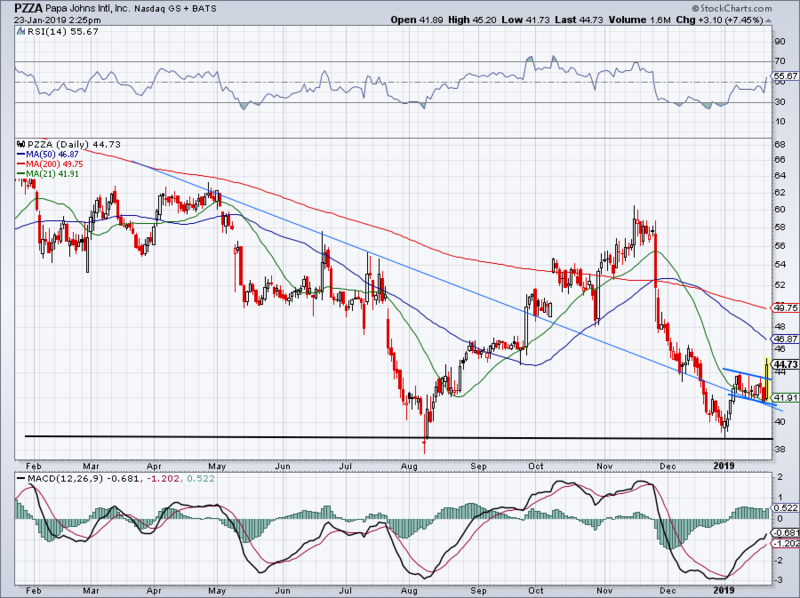 It admittedly lacks some conviction here on the charts, but it’s encouraging to see Disney (NYSE:DIS) stock back up above prior downtrend resistance. This level kept Disney in check for years — so to see it hovering just above it now is encouraging. Long-term investors could justify adding or initiating a position in this name, with the option to add more on a decline near $102. Article printed from InvestorPlace Media, https://investorplace.com/2019/01/5-must-see-stock-charts-for-thursday-abt-ibm-sbux-pzza/.